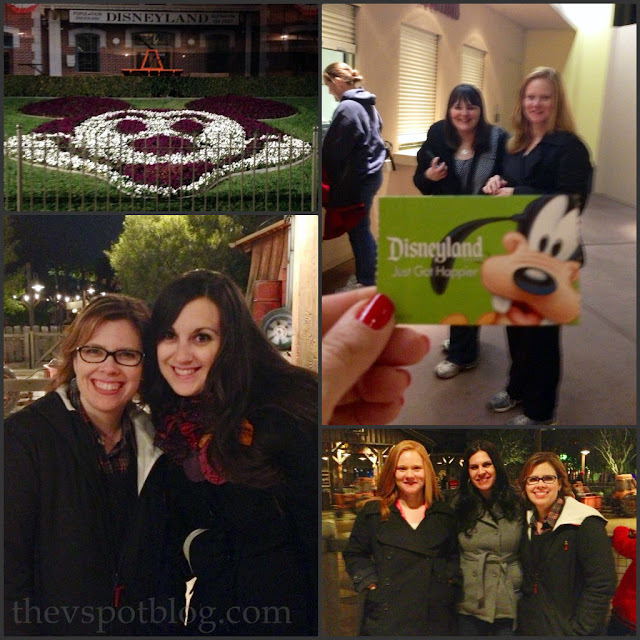 A quick trip to Disneyland… Yep, I Just Got Happier. A few weeks ago I attended the Craft & Hobby Association’s winter trade show and conference, which was held at the Anaheim Convention Center… Which happens to be a stone’s throw from Disneyland. And what’s a girl to do when she is hanging out with her blogging friends while just a stone’s throw from Disneyland? Um, go over and play, of course! With the exception of Bev, from Flamingo Toes, who is a local girl like me, all of our buddies were from out of town. We had Arizona, Nevada, and Tennessee with us, and we Cali girls felt bad because the weather was crazy cold for Southern California. Low temperatures or not, we had such a good time! The attention to detail is amazing. I loved that the actual Cars were rolling around as characters. I am very curious to know exactly how that works, because it looks like they are actually talking and interacting with the guests. And because we had been at the convention all day, we were kind of hungry. 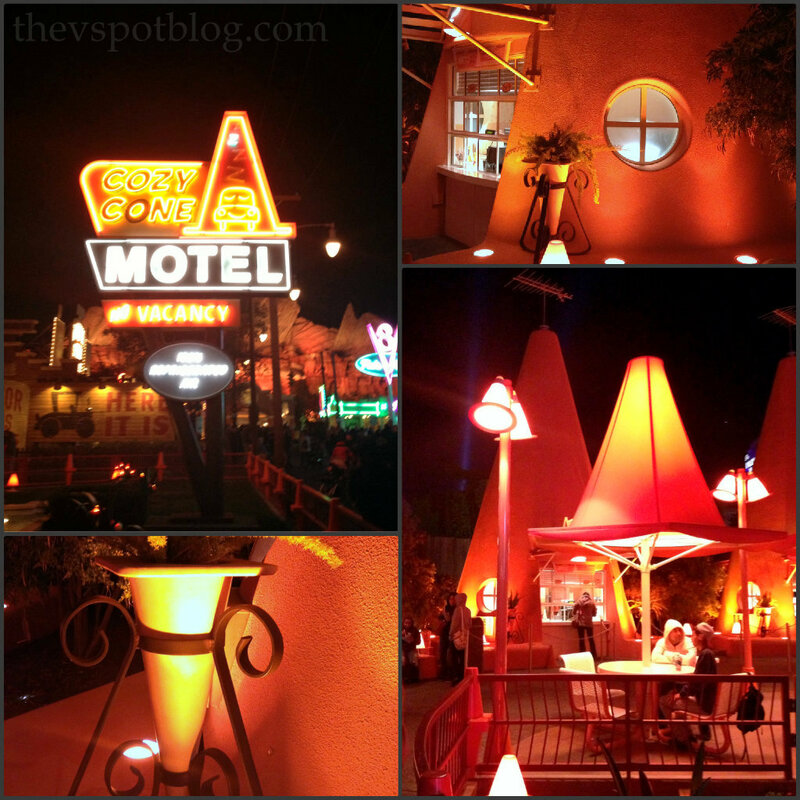 We ate at the Cozy Cone Motel, which is so cute! (Everything is served in a cone, by the way, and I ordered Chicken Verde. I can’t tell you how good, warm and spicy it was! Totally hit the spot on a cold night! Seriously, check out the attention to detail. Everything, even the planters are cute little cones. Adorable and charming. I actually felt a little guilty having so much fun. Want to know why…? In the meantime, if any of you have been thinking about a trip to Disneyland or California Adventure (or both!) there are several deals, packages and discounts going on right now For example, there is a special 3 day ticket offer that is on sale through Feb. 26 where you can save up to $30 per ticket and get a park-hopper pass. The tickets must be used by March 11, but what a great time to visit the parks! If you want to plan a trip to Disneyland, there are great tips that you can check out online to help you get great deals and see the most of what the parks have to offer. For some great planning tips, click HERE, or check out www.disneyparksblog.com and www.limitedtimemagic.com for more info and ideas. I had not heard about Car’s Land, how fun! You get that boy to Disney STAT!!! Oh my gosh it was sooooo fun! I’m so glad I was able to go with you and our awesome group of girls! Love you Viv and had a BLAST with you at Disney! And yes, poor Grant! Get that boy to Disney! I had an amazing time! 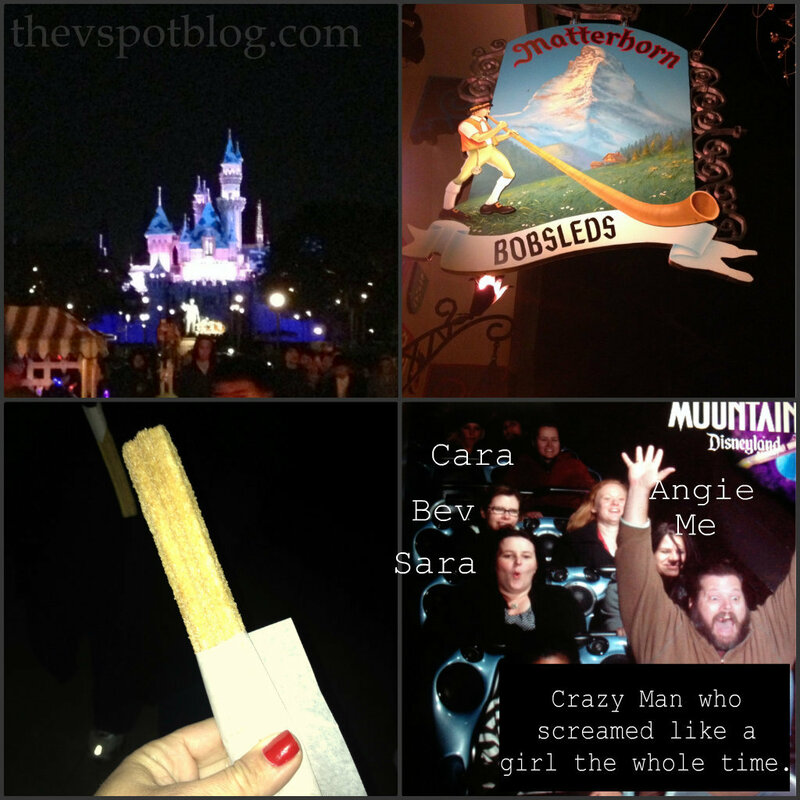 And I had my first Churro y’all! 🙂 (is that even how you spell it??) 😉 Grant must go soon…. We just took our boys to Disneyland for the first time in October, and we thought Cars Land was AMAZING too! The detail is incredible, and it really does feel like you’re walking in the middle of the movie! The child is 9, lives here and hasn’t been to DL!! We’ve lived here for 18 months and have been 5 times! Get that kid to Disney!! 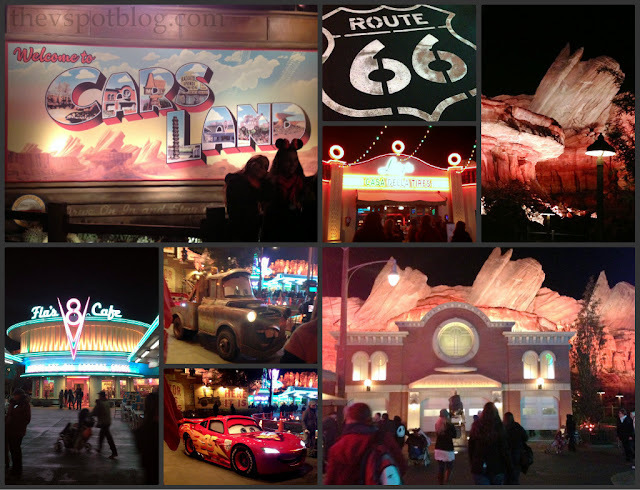 I haven’t been to the new Cars land yet but definitely want to go sometime. We went to Disney when we first moved to CA when Alex was two but haven’t been back since. Definitely will have to go again sometime. And yes those were horribly cold days when that conference was. Cars land is worth the price of admission alone! We are heading to Disneyland for our Spring break this year. 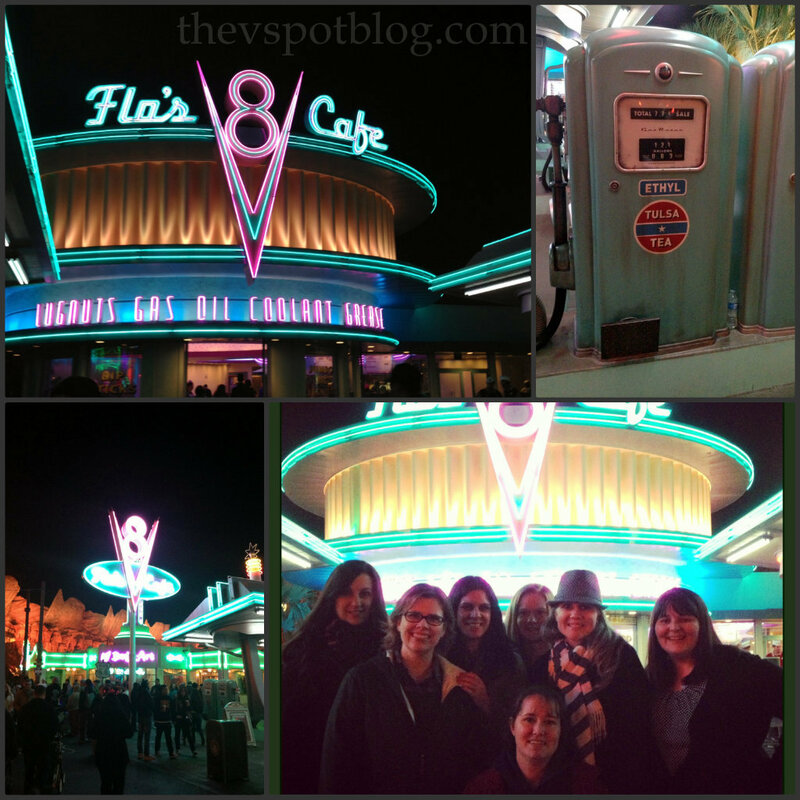 We have all been looking forward to seeing Carsland. I am looking forward to the food! It gosh darn better be warmer than it was when you were there! How fun, Disneyland with just grown ups. Mark and I did that before we had kids. We will do it again when our kids are long gone, like in 40 years. Soarin over California is my most favorite ride at any theme park, ever.